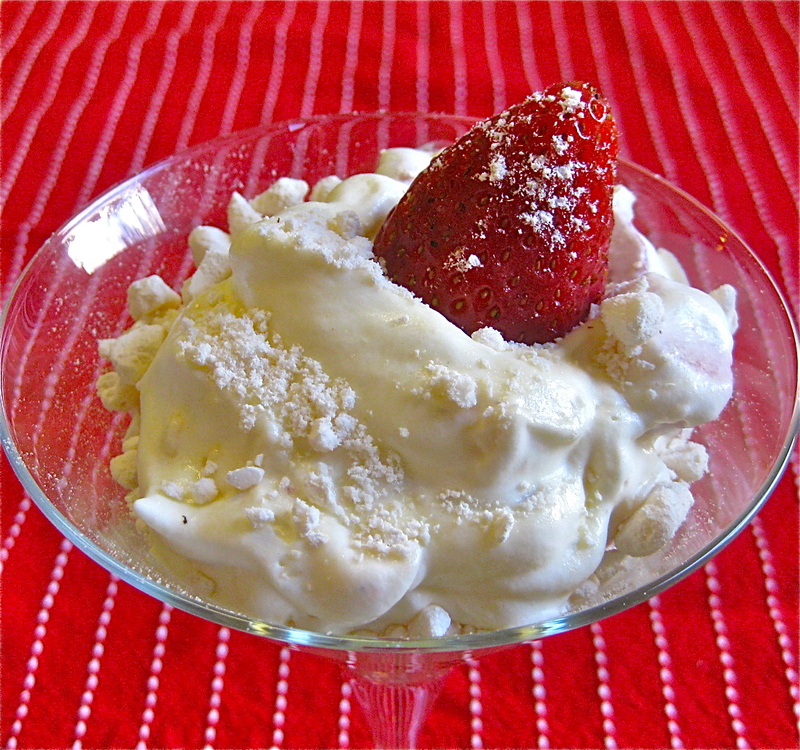 Eton Mess according to some happened by accident when a dog somehow disrupted the dessert at the annual Eton College picnic. 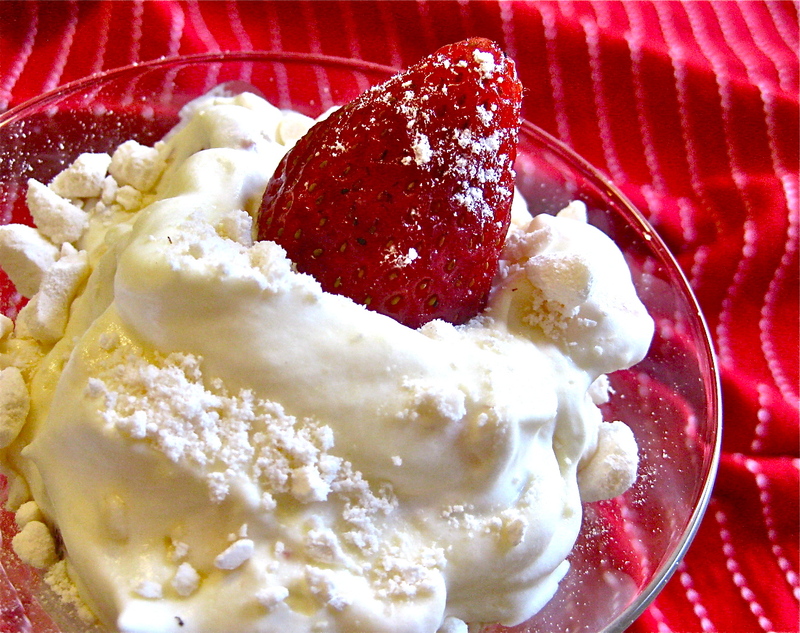 The strawberries got jumbled up with the meringue and the cream creating this wonderful mess. I don’t believe it for a second…why would there be containers of cream, meringue and macerated strawberries just lying around. It is however reputedly a dish that was eaten at Eton College in the Mess (canteen) and was traditionally served with either strawberries or bananas. One of the best desserts ever this one. It is simple, fairly cheap to put make and most importantly SUPER DELICIOUS! Shove it all in a bowl and leave it in the fridge for half an hour or so. This gives the smaller pieces of meringue time to melt into the cream so you get a lovely sweetness to complement the tartness of the berries. But don’t leave it in the fridge too long or all of the meringue will melt away and leave no crunchy bits. You could also use raspberries or mixed berries, frozen (thawed) or fresh. Take care to crumble the meringue into different size pieces, so some will melt and some stay in pieces, giving the dish some crunch. Crumble some meringue on top for presentation.